1. 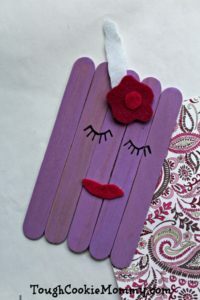 Begin by applying two coats of paint to one side of your craft sticks. You only need to paint 5 and can leave one plain.2. Line your craft sticks up so you have 5 of them side to side.